Prince Design London Ltd - Builder based in Twickenham, Middlesex. Based in Twickenham, with a passion for detail and talent for end to end solutions, Prince Design London delivers clients complete building projects, that enable customers to work with a trusted and proven team. We believe that by understanding our customer’s vision for what they want to achieve. Be that a growing family, added space or remodelling. Prince Design London can deliver a wide range of solutions in a professional manner with excellent customer service and in-house tradesmen who cover all trades. 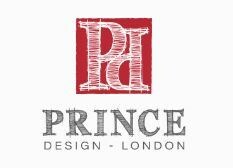 The Prince Design London background originates in bespoke cabinet making and furniture design. This allows the customer the finest degree of attention to detail and skill whilst also ensuring a hassle free approach in allowing Prince Design London to deliver the whole solution.